When Joy was little, she would raise both her arms backwards whenever we go “NINJA!”, she outgrew that “reflex” after a few years but her affinity with Ninjas didn’t end there. 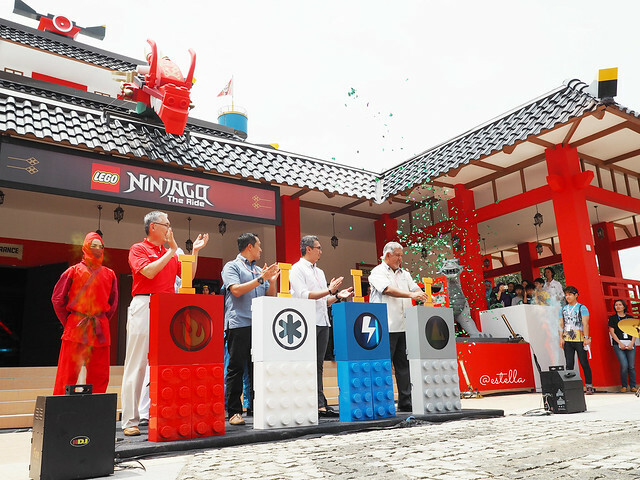 The LEGO® NINJAGO™ feature at Legoland Malaysia officially opens to all on 4 November 2016 and we were privileged to have been invited for its media launch last week. The popular LEGO® NINJAGO™ TV series on cartoon network is a story of 4 young ninja heros, Kai, Jay, Cole and Zane, who train under their master, Master Wu, to master Spinjitzu, an ancient martial art. 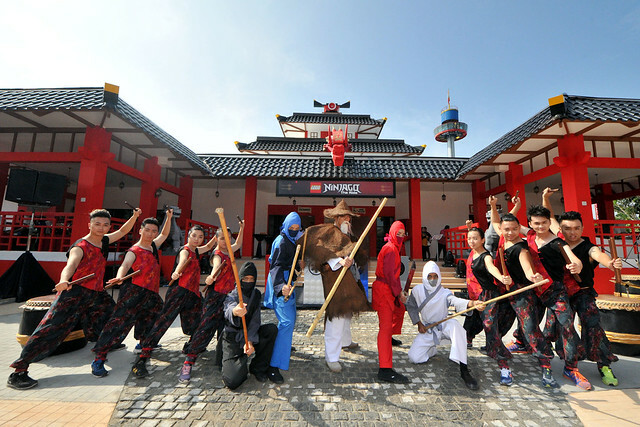 At Legoland Malaysia, illusions of 13 different worlds inhabited by some of the enemies of LEGO® NINJAGO™ are created for guests to hone their ninja skills by simply using hand gestures to collect points throughout the training and battle quest. The quest takes place in the NINJAGO™ training temple, just like the one in the TV series. At the launch, there were ninja appropriate activities, like performances from professional drummers and martial arts performances by 4 ninjas, Kai, Jay, Cole and Zane, as well as Master Wu. Plus, ninja friendly games such as a Shuriken throwing competition and a LEGO® brick breaking contest, which Joy mustered up courage to take part in. She earned herself an experience in bravery and the LEGO® NINJAGO™ set she wanted. The Ride is a key feature of NINJAGO™ at Legoland Malaysia, but there are also four other training areas you can have fun at. Zanes’s Temple Build Guests can tap into their inner imagination and create LEGO® models inspired by LEGO® NINJAGO™. Cole’s Rock Climb Grab a hold! Kids can test their agility as they scale a rock wall. Nya’s Practice Master the water element with Nya in a 3D interactive game. LEGO® NINJAGO™ The Ride is previously only available in Billund and California. 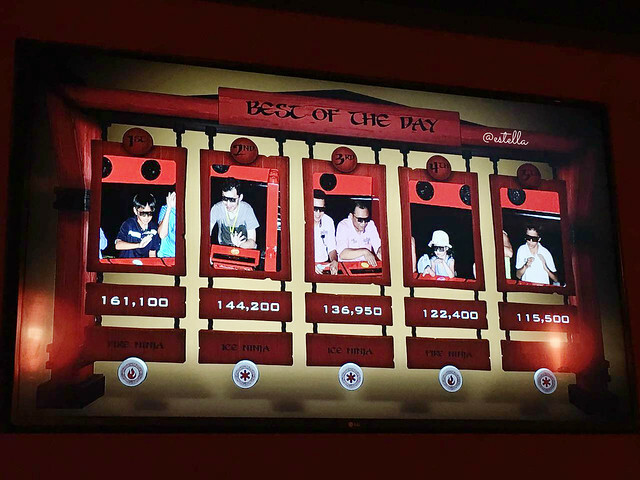 We are lucky to be located so near to the only LEGO® NINJAGO™ The Ride in Asia, at Legoland Malaysia. 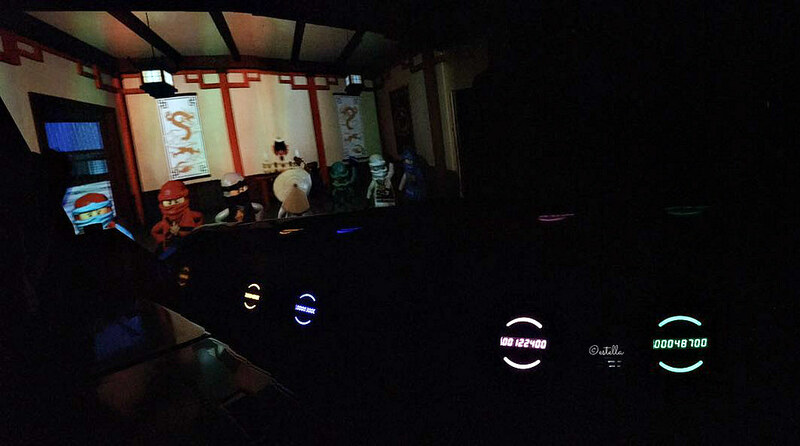 This is how it looks like inside the NINJAGO™ training temple, leading to The Ride. 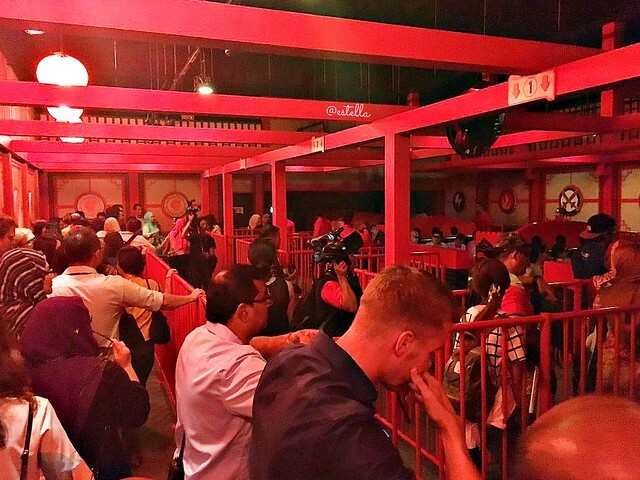 Guests are ushered into the well organized queues leading to the gates that will allow access to The Ride. There are 8 trains in total, running on a 145 meter ride track, 2 cars on each train and 4 riders to each car. Illusions of 13 training / battle environment are brought to guests in 3 minutes and 30 seconds through the use of 39 projectors. 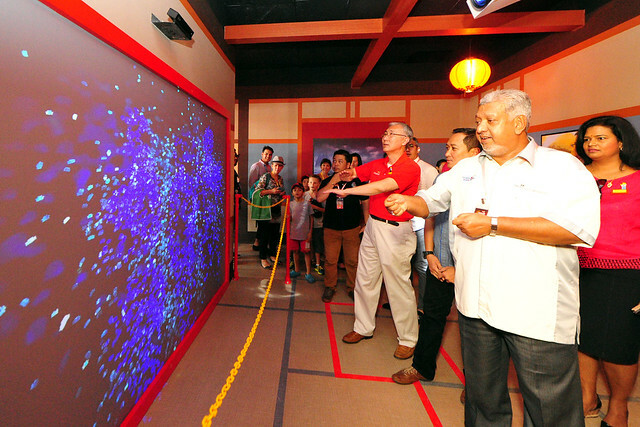 Guests can interact with the environment through simple hand gestures, that are interpreted by a system of cameras and sensors and translated into spectacular action on a huge 3D screen. 4D effects that can be experienced are heat, smoke and wind. Watch the video below to catch a glimpse of the scenes! We were requested to keep items such as phones, cameras and informed that Go Pro sticks and selfie sticks are prohibited. I didn’t understand why initially but I can now. You wouldn’t want anything flying towards you from other cars and vice versa. Besides, you wouldn’t have a spare limb to hold anything anyway, because you’d be busy gesturing! At times, it felt like the car made a 180 degrees rotation to bring us to the next illusion. It can be unexpected, especially when the car rotated for the first time. That increased the fun factor of the ride for sure. Riders need to be at least 115cm and 6 years of age to ride alone, or accompaniment by adult is required. Younger children are not recommended to go on the ride because of the light, sound and content effects. I had 2 x 5 year old children with me. Joy was unafraid and raring to go but the other child started to feel afraid the moment she stepped into the LEGO® NINJAGO™ training temple. She was still afraid when she was seated, but by the first scene, she had already started to enjoy herself and was all smiles when we got off the ride. Personally I would rate the scare factor at 4/10 (or lower if you have braver kids). I think that children 4 years old and above would be able to enjoy it! I started to notice how Joy’s score was significantly higher than all of ours from the 2nd or 3rd scene onwards. Then, I only had 7000 points and she had already scored 55000 points. My arms were aching from repeatedly (and aggressively) gesturing but there she was, cool as a cumber, gesturing gently. My final score was 48700 and hers was a whooping 122400. Don’t get me wrong, we go for rides and games for entertainment purposes only, not really caring about scores, but Joy’s score was good enough to make it for Best of the Day! I paid attention to the gestures of the other players who made it to Best of the Day and found some similarities! Try it in the name of good fun when you’re there and let me know if it works! Made out of a whooping 850,000 pieces of LEGO® bricks. It sits in the center of LEGO® NINJAGO™ world for all to build upon and enjoy. Has a wing span of 7 ft and is made out of 48,000 pieces of LEGO® bricks. Contracted in 200 hours by Master Model Builders. I plan to revisit and was looking out for promotions at Legoland Hotel when I noticed that you can enjoy a 20% off when you book 2 nights stay. Booking period is between 20 September 2016 to 20 November 2016 and occupancy period is between 21 September 2016 to 30 November 2016, more details here. Now is the best time to visit! 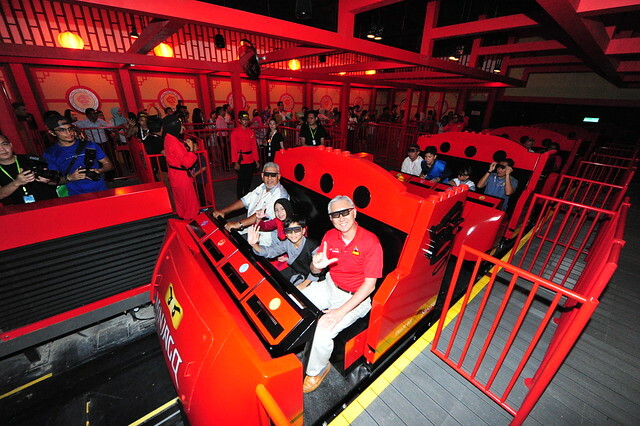 Disclosure: We received a media invite for the launch of LEGO® NINJAGO™ at Legoland Malaysia. 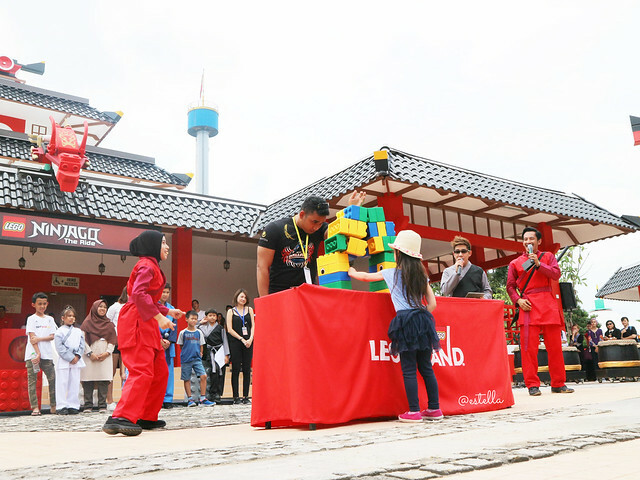 All facts were provided by Legoland Malaysia however, all opinions of our experiences are our own. Photos without my watermark are official photos by Legoland Malaysia.